"Relief, exhaustion, sadness, frustration, thankfulness, excitement about what's next, the feelings of failure and loss, contentment knowing that the studio and it's legacy are in really good hands. All of those things. All at once." 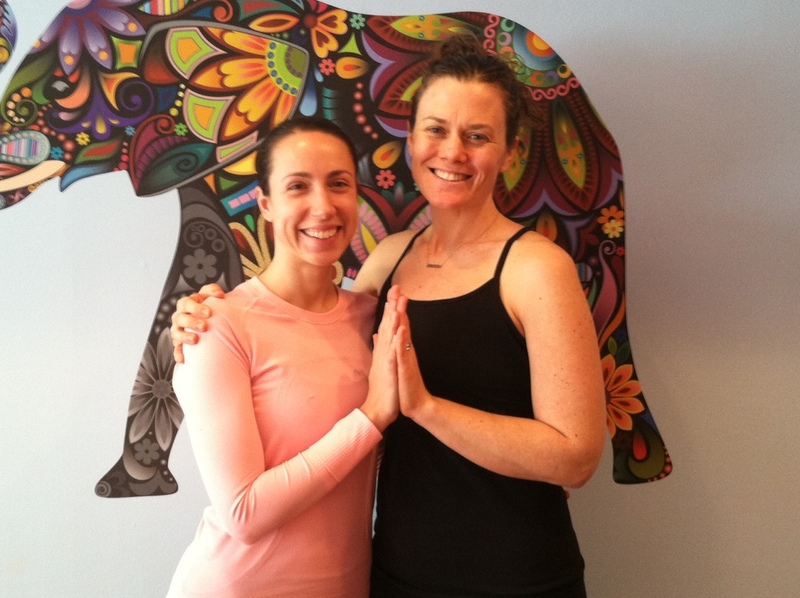 Writing prompt for Yoga Teachers: What Makes a Good Yoga Teacher? Our teacher training program at GDY includes a good deal of time for personal inquiry and reflection. We think this is important in helping students transition from student to teacher. When I became a yoga teacher the program I took gave us ample opportunity to reflect, meditate, and write in addition to all of the normal things you do in a YTT. One of the writing questions we needed to answer was "What Makes a Good Yoga Teacher". Maybe you are a yoga teacher or you dream of being a yoga teacher. If you need a writing prompt this is a good one. Set a timer for 5 minutes and let yourself write it out. Don't over think it, just write. What comes to mind? This was one of the assignments our trainee's had during the first trimester of their YTT. While our sweet group of trainees wrote I decided it would be a good idea for me to write out my thoughts on this as well. A good yoga teacher is someone who can simultaneously teach a challenging physical class, all the while weaving in yoga philosophy, pranayama, and maybe even chanting. All in order to help the student achieve a sense of union with the divine. Helping the student transcend all of the physical and mental clutter that pulls us out of the moment. The teachers ultimate goal is helping the student achieve their own objectives thus helping them journeying into their true self. Juggling all of this while knowing what to say when you see someone out of alignment and helping the student learn to bring the body back into alignment. It is through the physical that we can access the spiritual, and beyond. A good teacher pays attention to what is happening in their students bodies throughout the class. A good teacher is able to get the students uncomfortable and do it with humor and compassion. If we can learn to live with the uncomfortable in our bodies we can start to be comfortable with the uncomfortable we find in our minds. What else makes a good teacher? Hands on adjustments, 10 minute savasana (always a 10 minute savasana) and above all boundaries and grace. That is what I strive to do, be, and posses as a yoga teacher. Those are the characteristics I look for in the teachers I practice with. Looking at what I came up with it feels like I created a yoga super hero. "Super hero/Yoga teacher" but we've all gotta have goals right? These are mine. If you are a yoga teacher or a yoga taker I'm sure you've got an opinion on this and your answers will be most likely be pretty different. I want to hear what you've come up with. Leave me a comment and let me know what you think makes a good yoga teacher. If you read my posts regularly you know that the yoga studio is my labor of love. Weeks like this I can't help but be filled with endless amounts of joy and gratitude for what is growing at the studio. All of our classes this week were packed, despite the cold weather. The support we are receiving from our students and the greater community is overwhelming. Our teachers are top-notch and I find that when I leave them alone to do what they do best, that's when the studio wins. Our classes are regularly filling up the studio and many days I'm hoping that I don't have to turn anyone away. We now have 8 teachers that teach weekly at the studio and there is room for more classes. The teacher training program is starting to fill up and I'm pretty confident we will sell it out (for now there is room if you still want in). I knew Greensboro was ready for this type of space and this type of yoga. I knew that it would take time, and it is taking time but we have the momentum and it's all moving in the right direction. Thank you for everyone who supports this business! Thank you to everyone who comes out and takes classes, and participates in what we are building. This studio would not be growing if it wasn't for all of you! This particular post has been attempted to be written 3 times unsuccessfully in the past 6 days. It's been 6 days since Greensboro Down Town Yoga's Yoga Mutts Foundations workshop ended. 6 days ago my life was changed for the better. For the first time in my 32 year and 2 months on this planet it's apparent to me that I'm doing exactly what I'm supposed to be doing. Hallelujah! I've been searching for the right words to share with all of you, but these words still seem inadequate, so I'm posting anyway. Finally I've caught up on sleep and had enough time to reflect on what exactly took place during our workshop last weekend. Personally I've been to many many yoga workshops in the last 7 years. I've also been to enough workshops to know that these yoga weekends will change the lives of the students taking them. Yes, if you are looking for a sign to take a workshop, retreat or finally pull the plug on a yoga teacher training program this is your sign. Do it now, don't wait, it will change your life. Retreat, workshop, 200 hour YTT they will rock your world. You might not even notice the change as it's happening, but I guarantee you will start to think differently. I've experienced this first hand, I've taught it and now I can say I've watched it happen. What I was utterly unprepared for was having my life change powerfully by teaching our Yoga Mutts Vinyasa Foundations weekend workshop. When I think about the students who are embarking upon the journey of becoming teachers, I know they don't have the slightest clue where this path is going to lead them. I sure didn't know where my YTT would lead me. I also didn't know that teaching students to become teachers was going to be one of the most moving experiences of my life. It's humbling to have the privilege of watching someone stand in front of their peers and attempt something scary like teaching a sun salutation for the first time. It's astounding to watch personal transformations and personal epiphanies happen right in front of your face. It's also wonderful to know that the stars are aligning and you as a teacher are doing a good job and no one needs to tell you "good job, or thank you" for you to know that you did it well. There are few experiences in my adult life where I've utterly known in the core of my being that I nailed it. With the help of my incredibly insightful and brilliant co-director Andra LeBauer (who also nailed it) we taught in a way that gave the students space to learn, question, shine and grow which is what it's ALL about. I'm surprised to find that teaching teachers is my calling, but it is. This is exactly what I'm supposed to be doing. Have you ever had that feeling before? Truth be told these days all of the pieces are all falling into place. The days are incredibly long, but they are abundant with the right stuff. Greensboro Downtown Yoga is so much more than simply a yoga studio to me, it's a place for community, discussion, connection, and transformation not just for the students coming to class but for me as well. It's my passion to share yoga with my community. For the first time in my life I know that I'm definitively in the right place, at the right time, teaching something that is bigger than me and it turns out I'm good at it. It's been a magical weekend, from our snow filled pre-yoga run yesterday, post yoga knitting, to our sweat filled mala at the studio this morning. This afternoon I relished spare time for a long and much needed soak in an epson salt filled tub. Finally I made a quick run out clad in my pj's for take-out thai soup (sorry no recipe post from me this week). With a warm full belly, there is now space to reflect on the beauty of this weekend. Today is the winter solstice, the shortest amount of daylight in the year, truly the zenith of darkness. Cold barren winter is not my place. Celebrating the shortest day of the year seemed like a solid idea knowing that more sunshine will surely cycle our way. In the yoga world many people practice a yoga mala on the solstice. A mala is a practice of 108, that can be 108 breaths, sun salutations, chants or mantras. The most important thing is your intention. Our yoga studio was juicy with love this morning. There is nothing I adore more than seeing students stream into my studio and today was special. 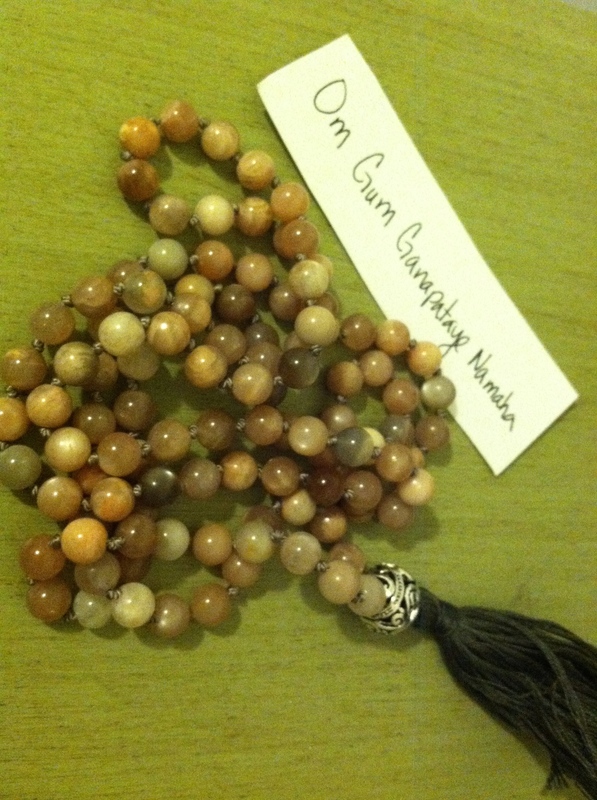 For a long time I've wanted to share a mala practice at Greensboro Downtown Yoga. Luckily for me, my team is supportive and great, they helped so that I didn't have the full responsibility of 108 sun salutations solely on my own shoulders, this made the practice so much more interconnected and sacred. We did practice 108 sun salutations today. In the winter many studios choose to make the equinox a practice of 108 breaths, but this was our first mala so we wanted to go all out! I'd be fibbing if I told you it wasn't a challenge. In fact when I was the one teaching today it was challenging to stay on my mat and not run around adjusting everyone (as I love to do), and challenging to remember to keep count by moving the beads from one bowl to the next to mark the passage of each salutation, something that requires extra amounts of awareness and presence if you aren't in the habit. When I was not teaching I found it a challenge to listen to my body and not power into chaturanga or plank on every salutation (something my shoulders are angry at me for now). I was also challenged to remind myself to keep to the intention. What was the intention? "I am home, I have arrived". This is a mantra by Thich Nhat Hahn. I use it often in my meditations and I shared it with our group. Yoga reminds us that we are more than enough, "we are home, we have arrived". It's that simple. Where ever you are are you can be home, you can arrive. The only travel you need to take is a journey inward. I believe this is an important lesson because if we are going to be helpful to others we must first be helpful to ourselves. Being helpful to yourself means knowing that this is enough, you are enough, you are home, you have arrived. During the mala if I felt like I'd lost my path or lost the intention it was easy to look around the room and be reminded, that is the beauty of a collective practice. When you are in a big room with a bunch of people the gathered energy keeps you going, accountable and present. There are times as a yoga teacher that you become a witness, today I was a witness to the power of intentions. Today I was a part of something bigger than myself.